Hey all! Do you have anything fun planned for tonight or are you just staying home for New Year's Eve? I made this CAS card with my Cheers set from Our Craft Lounge. The main panel is up on foam tape and I added a bunch of Stickles....gotta have have lots of sparkle, right? Whatever your plans are for tonight, enjoy! Eeeek! 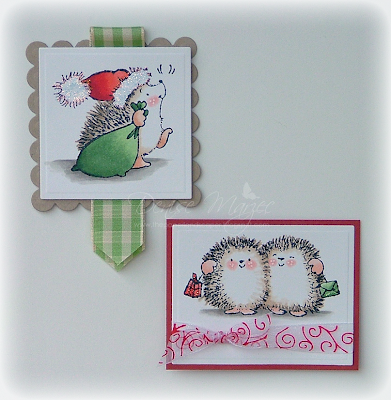 I just LOVE this Hedgehopper stamp....totally makes me smile. It's a wood-mounted stamp from the new 2011 Amour catalog. I haven't made one of these curved mega rectangle cards in a while, but decided it was high time. :) The main panel with the hedgehopper is up on foam tape, and I added a bunch of stardust Stickles to the image. The sentiment is from my Enjoy Life transparent set. 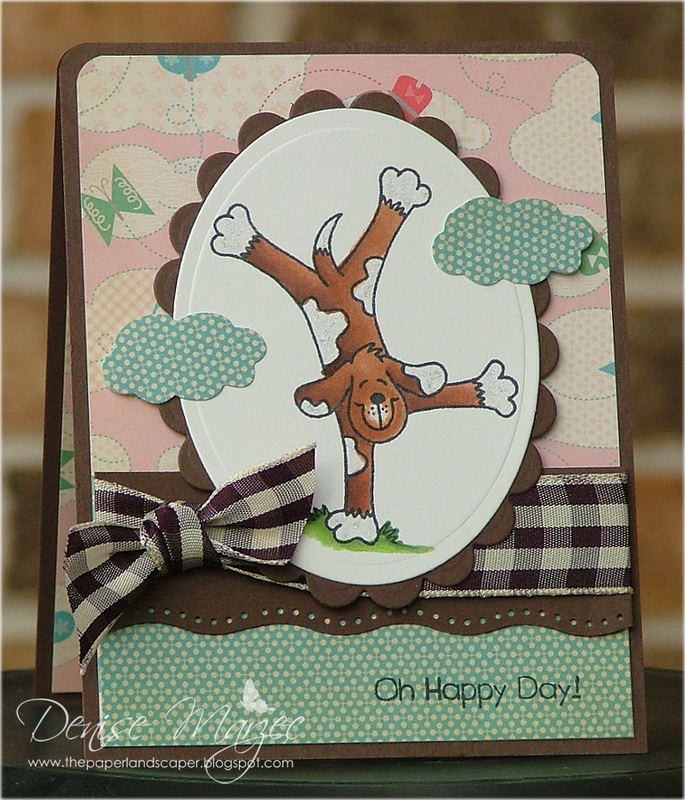 Be sure to stop by the Penny Black blog to see more shaped cards from the DT girls. I felt like sitting down and coloring up one of my Sarah Kay images. This is a stamp that I've had for a long time, but I never get tired of coloring her. I think she's just so pretty. The cloud and main matted image are both up on foam tape and I added a bunch of Stickles (of course I did...hehe!). Today on the Penny Black blog, we're featuring some mini cards for Valentine's day. I cut and folded my CS into a standard 4.25" wide x 5.5" high card, and then cut it in half to get two 2-1/8" wide x 5.5" high mini cards. 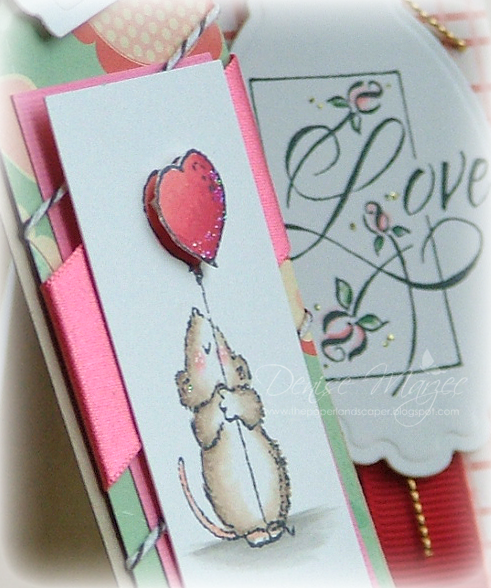 On the Love card, the main panel is up on foam tape and gold Stickles were added to the dots around the flowers. Click HERE for a full list of retail stores that carry Penny Black stamps. Thanks for stopping by my blog today. Have a good one! 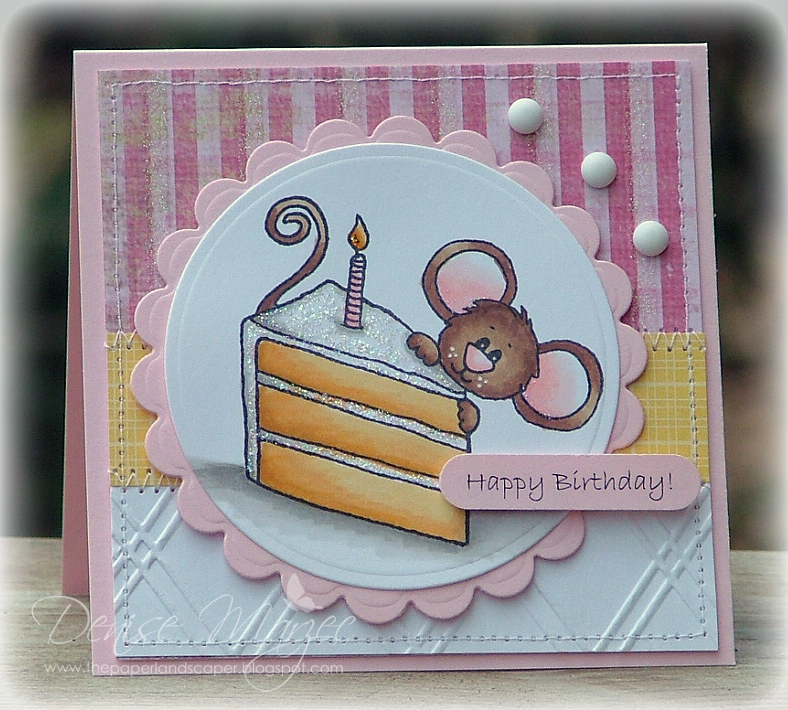 Today I was invited to play along in a Birthday Blog Hop for sweet Jodi Collins! 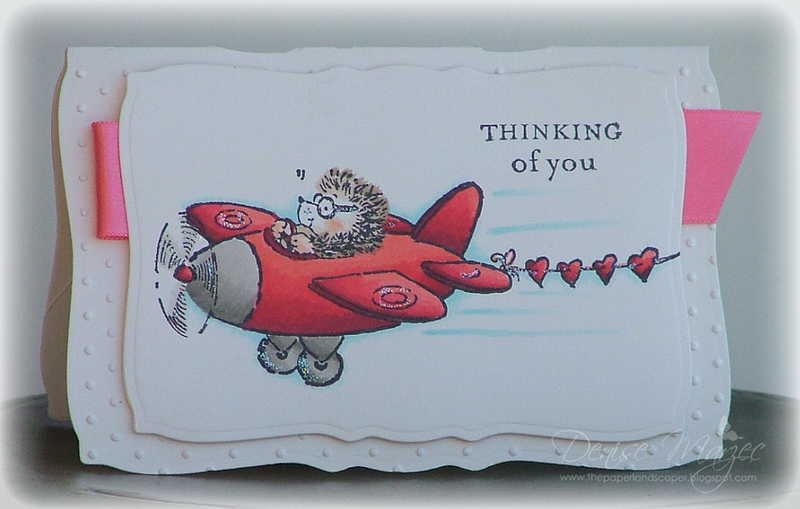 This card is for you, girlie! Hope your day is FABULOUS! :) If you've come here from Jami Sibley's blog, you're right on track with the birthday hop. To start at the beginning, head over to see Karen Motz. I glittered up all the icing on the cake with Stardust Stickles, and popped the (computer generated) sentiment and scalloped circle up on foam tape. Birthday Cake Cocoa is from Sweet 'n Sassy. Okay, NEXT up in the hop is Dana White! Happy hoppin'!! From Cocoa and everyone here in the Marzec household, may you have a VERY Merry Christmas! Enjoy your time with your loved ones! I saw this card by Pam and it totally inspired me to pull out my Lola Love set from OCL. An extra umbrella was stamped on the polka dot DP, cut out, and popped up on foam tape over the hearts. I added some shimmer to the lighter colored hearts and letters with my Spica glitter pen. The white rectangle nestie is also up on foam tape. Hi all! Here's another card I made this past Saturday. I used my Pat the Dog set and paired it up with Lola Love. 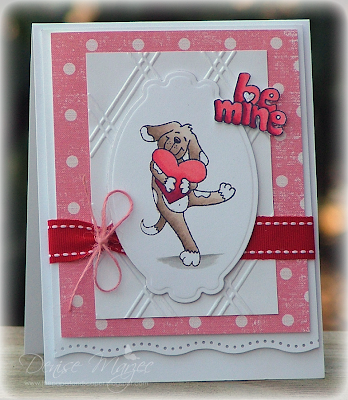 I put practically everything up on foam tape on this one.....the Be Mine sentiment, the main panel with Pat, the polka dot panel, and the large white panel with the Wavy Dot border. 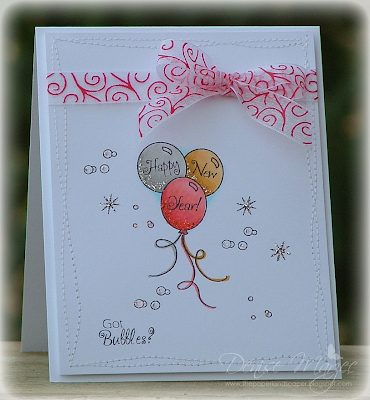 It's a really PUFFY card, lol! Oh, and I added a little bit of stardust Stickles to the heart inside the sentiment. 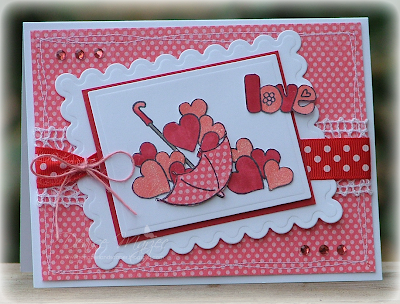 I had some stamping time yesterday (yay for Saturdays, I say!) so I made this card for Mojo Sketch 169. The red circle behind the sentiment and matted main image are both up on foam tape. All stamps are from Penny Black. The embossed white heart background paper is also from Penny Black (it's not an embossing folder). Click HERE for a full list of Penny Black retailers. Awwww, check out this little guy named Spot...is he cute or what?! Love him! He's a brand new digi that was just released this month at Sweet 'n Sassy Stamps. 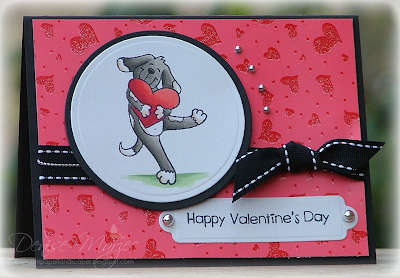 I combined him with a sentiment from my Woof You stamp set. The card measures 4" square and I sparkled up the collar with some waterfall Stickles. Have a great Saturday!....only one week to go 'til Christmas! Oh my! Hi all! It's Friday and that means it's time for the weekly OCL Sketch. 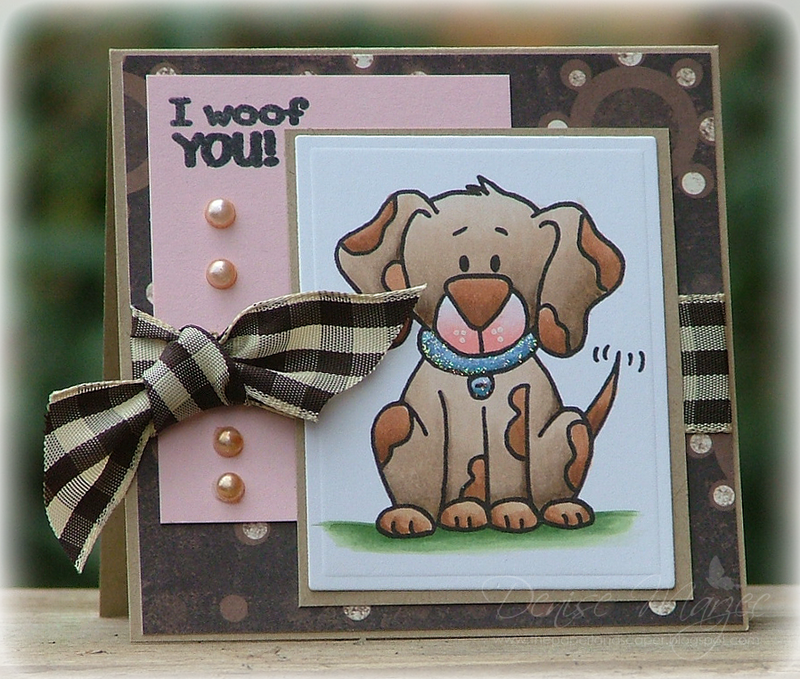 Here's my card using Pat the Dog. The matted black circle is up on foam tape and Pat was stamped on Cryogen irridescent white for some pretty shimmer. 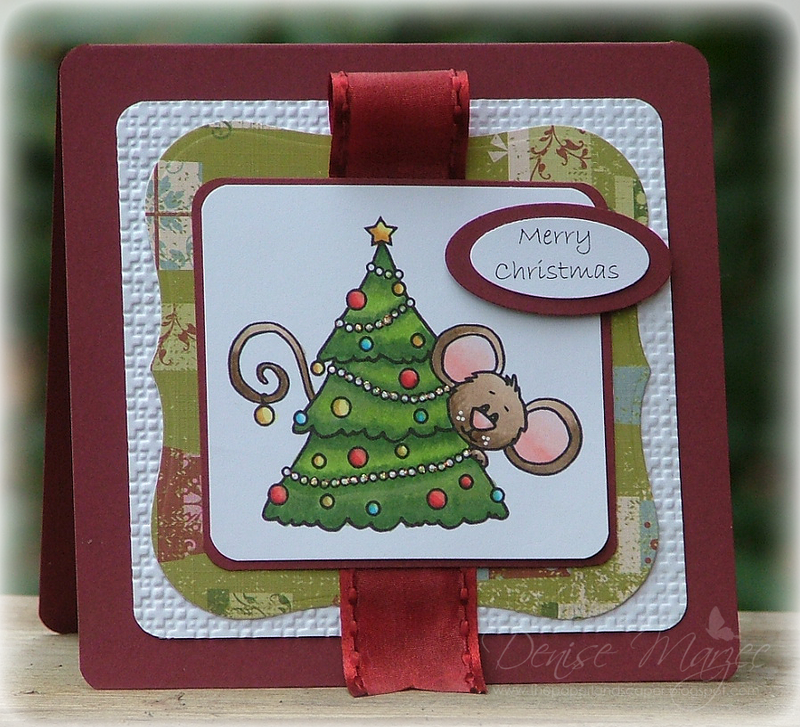 This week on the Penny Black blog, we'll be showing ways to take Christmas stamps and use them on non-Christmas cards. It's my turn today and more will be posted in the days to come. 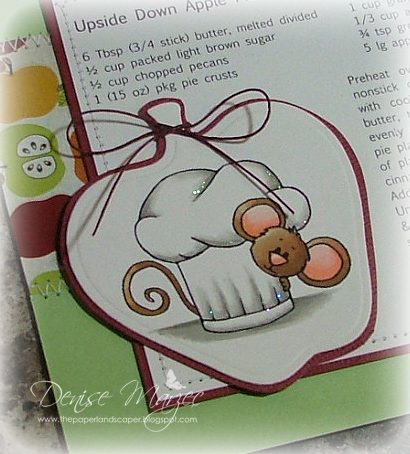 For my card, I used my Best Day Ever transparent set. The main image was stamped on Cryogen irridescent white, I added some machine stitching, and popped the whole panel up on foam tape. 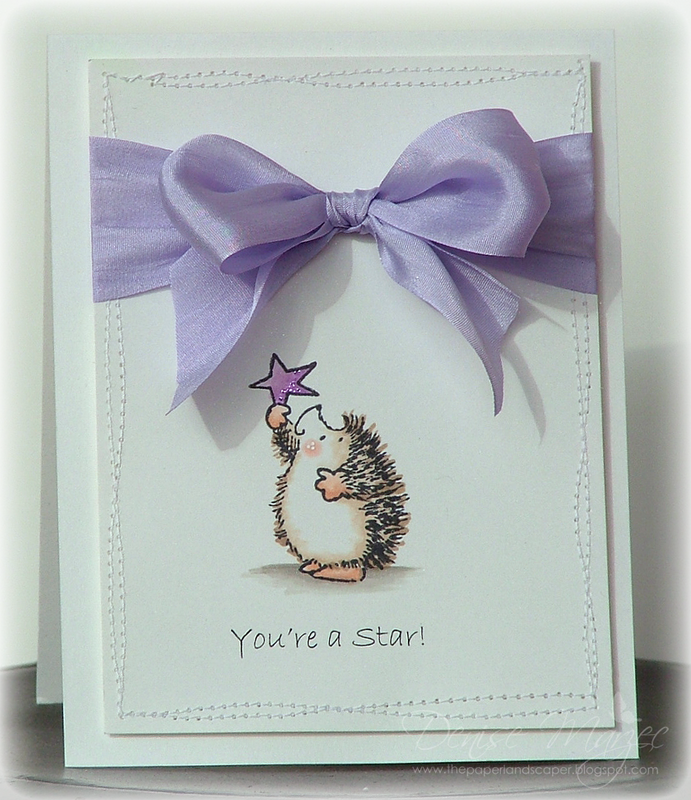 The hedgie was colored with Copic markers, lavender Stickles were added to accent the star, and I gave him some white dots on his cheek with a Sharpie white paint pen. I colored up this sweet Tilda image a few weeks ago when we had that PA stamping get-together. I added a bunch of Stickles to the image and popped the whole panel up on foam tape. Good morning! Today I want to share with you a card I made with the new Snowflake Bear digi from Sweet 'n Sassy Stamps. The main image is up on foam tape. I added fruit punch Stickles to the scarf and diamond Stickles on the snowflakes. 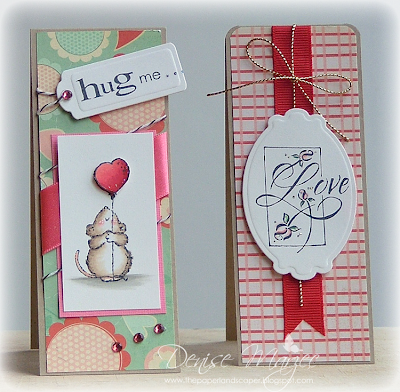 For all sorts of inspiration with these sweet stamps, check out the Sweet 'n Sassy Blog. Hope you have an awesome day today! Love this week's OCL sketch, love sweet little Pat the Good Dog....but I'm not so crazy about how my card came out. I think I should have added a pop of color.....oh well. :) The card is 4.25" square, Pat and the bone are up on foam tape, and there are some diamond Stickles around the edges of the bone. 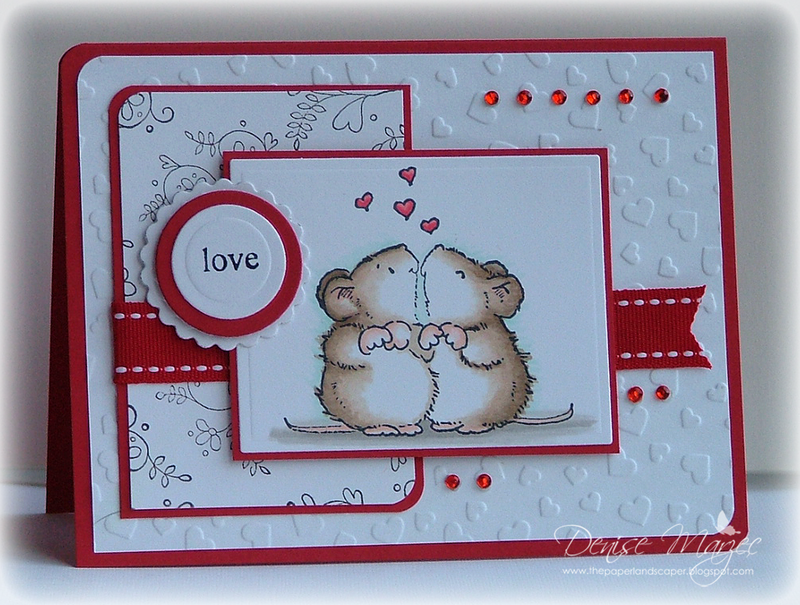 Don't forget, if you participate in the sketch challenge, you'll be entered to win a free OCL stamp set! How's this for an adorable snowman? I love that starry hat! 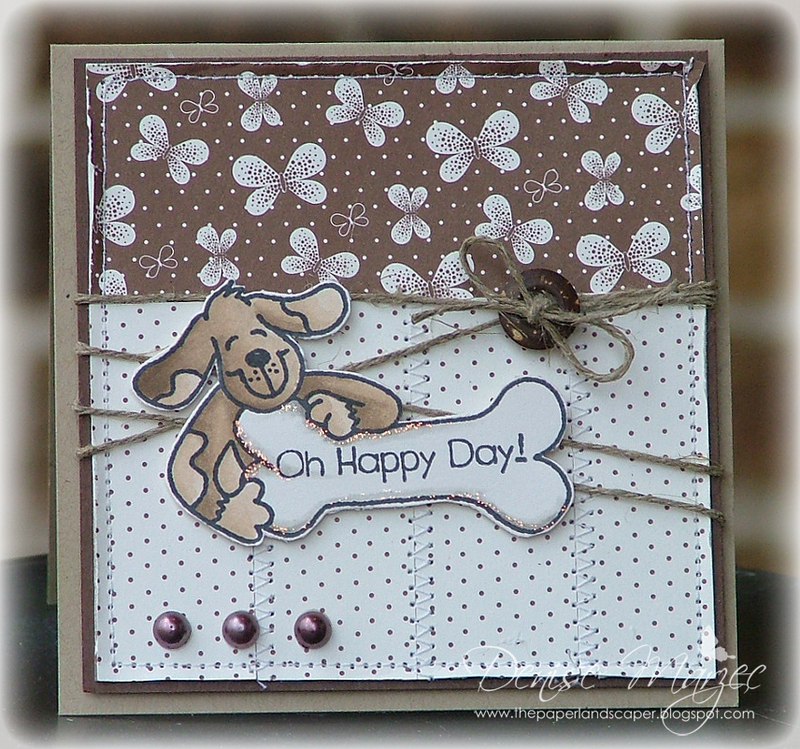 The stamp is called Happy Soul and he's from Penny Black. 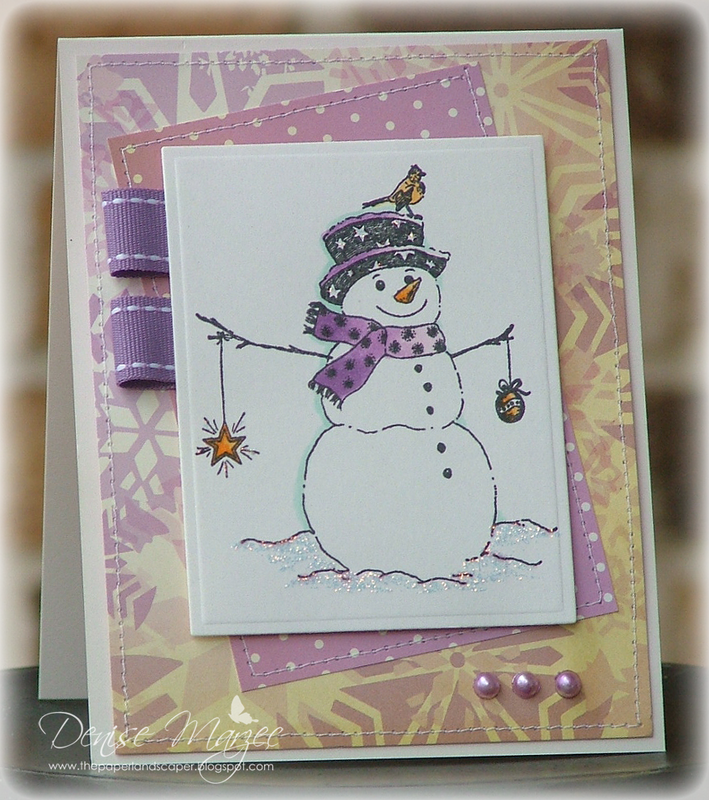 I stamped the snowman on Cryogen irridescent white, colored it with Copics, and added a bunch of Stickles to the snow, the star that's dangling from his arm, and all the stars on his hat. The main panel is popped up on foam tape. These were all very simple. I stamped the images on Cryogen Irridescent White for some pretty shimmer, colored the image up with Copics, and added some Stickles. 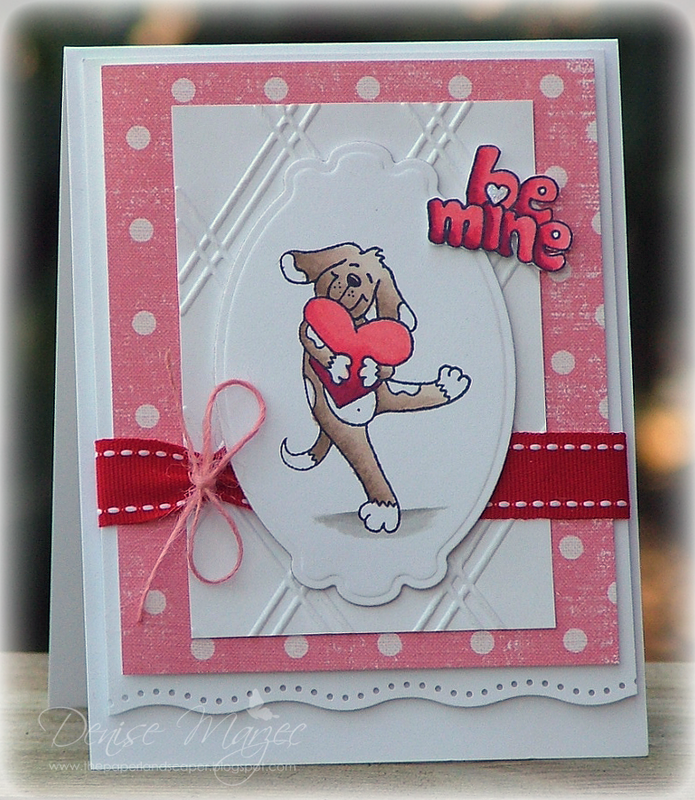 Here's a card I made for last week's MFT Sketch. The main image and punched snowflake are popped up for dimension, the main image is stamped on Cryogen Irridescent White, and I added Diamond Stickles to the snow and tops of the hats. Good morning! 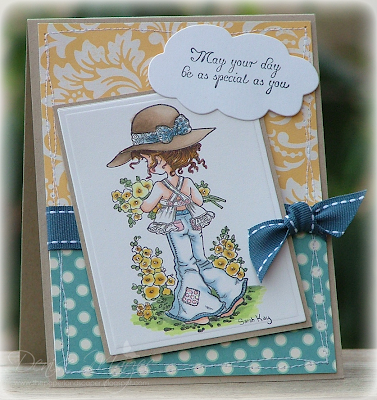 I just posted this card over on the Sweet 'n Sassy Digi blog. I used the newly released digis, Cocoa Loves Soccer and Sports Sentiments. 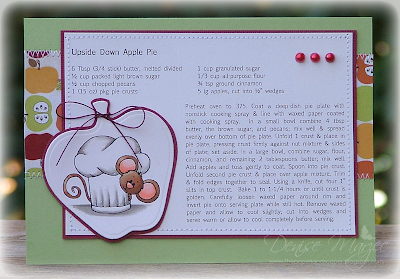 The card measures 4.25" square. The main panel and star are up on foam tape. I drew in a bunch of grass with a Copic marker and then accented the grass with eucalyptus Stickles. Hi all! I've had this Pat the Good Dog image colored up for a while now...finally got around to making him into a card. 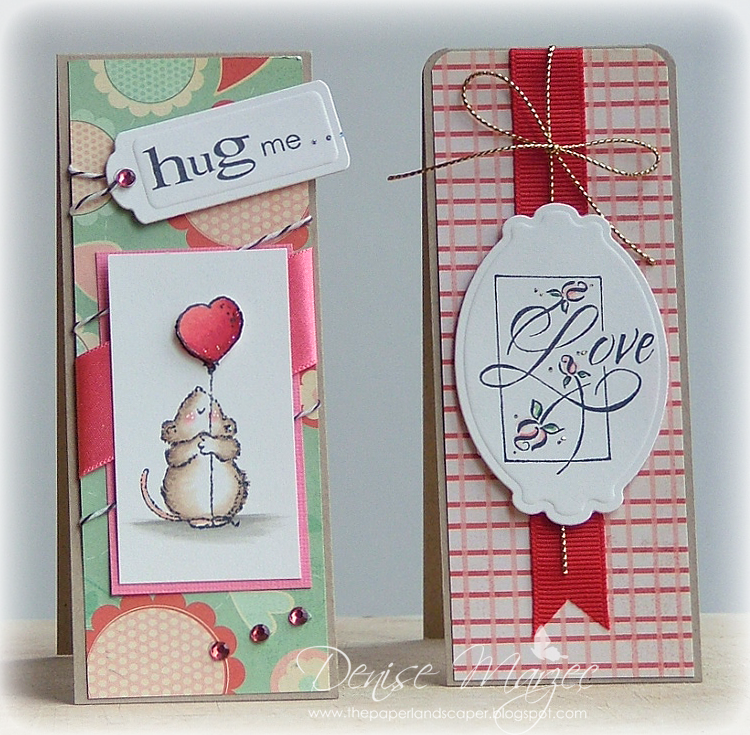 The layout is today's sketch #42 on the OCL Blog. 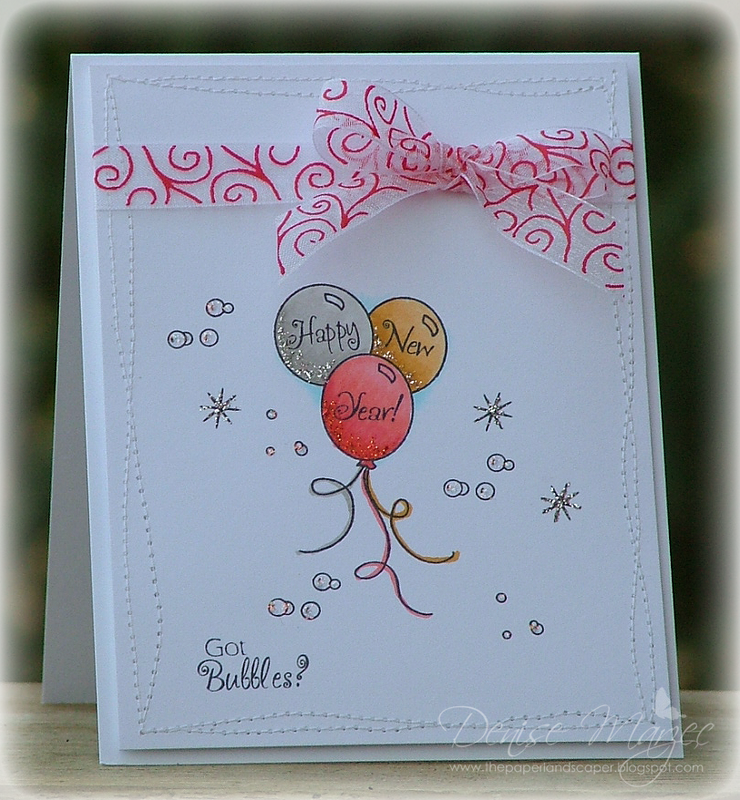 I added some glitter pen accents to Pat's white spots, and popped the main scalloped oval and clouds up on foam tape. Hope you have a good day. Stay warm! 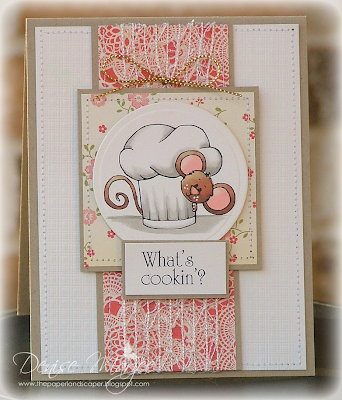 This time I made a card with Chef Cocoa and added in something from Kitchen Sentiments. The circle with Cocoa, sentiment, and matted DP square are all up on foam tape. 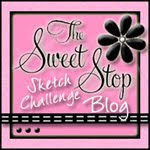 The layout is Sweet Stop Sketch #84.....and did you see?.....there's a brand spankin' new Crazy 4 Cocoa Challenge Blog! Check it out....EVERYONE who plays along with the first challenge will get a FREE Cocoa Digi!! Okay, so I had exciting news for you on Monday about my guest spot with Penny Black. 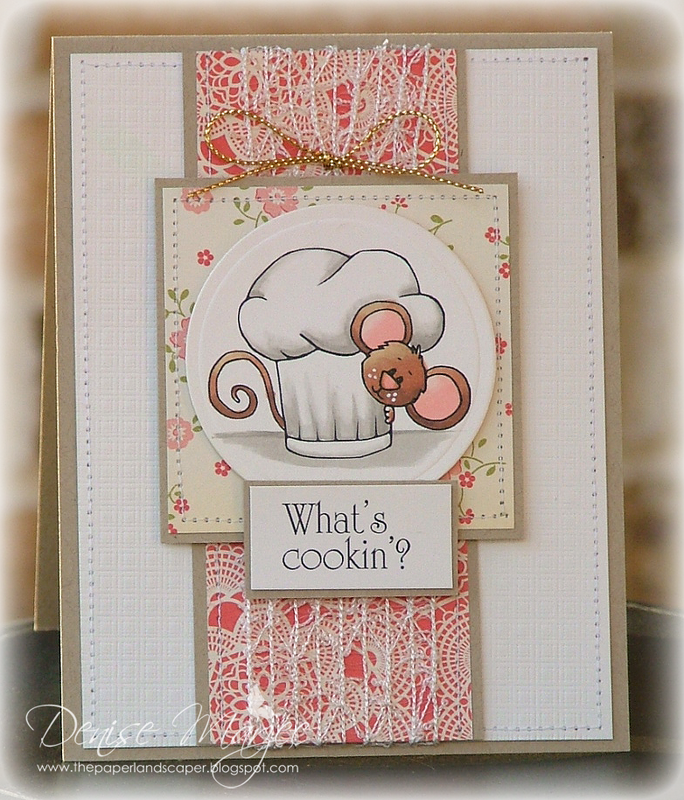 Well, I have more news to share today.....I'm honored to be guest designing in December for Sweet 'n Sassy Stamps as well!! Thanks Korin and "Janettie Spaghetti" for inviting me!! Is he cute or what?! Oh my gosh, AWESOME job, Korin! I made this 5" x 7" recipe card for Upside Down Apple Pie. I added some clear Spica shimmer to his ears and nose as well as some stardust Stickles to the chef hat. The pearls were colored with my R59 Copic.